The Steel Markward Greaves features a simple yet elegant design, showing off a bright metal finish and smooth curves on the sides of the top. A central bend runs down the front, adding strength and stiffness to the steel greaves. The leg armour looks great with other medieval armour, especially other Markward-style pieces. It works great for LARP events, re-enactments, the Renaissance fair, and more. 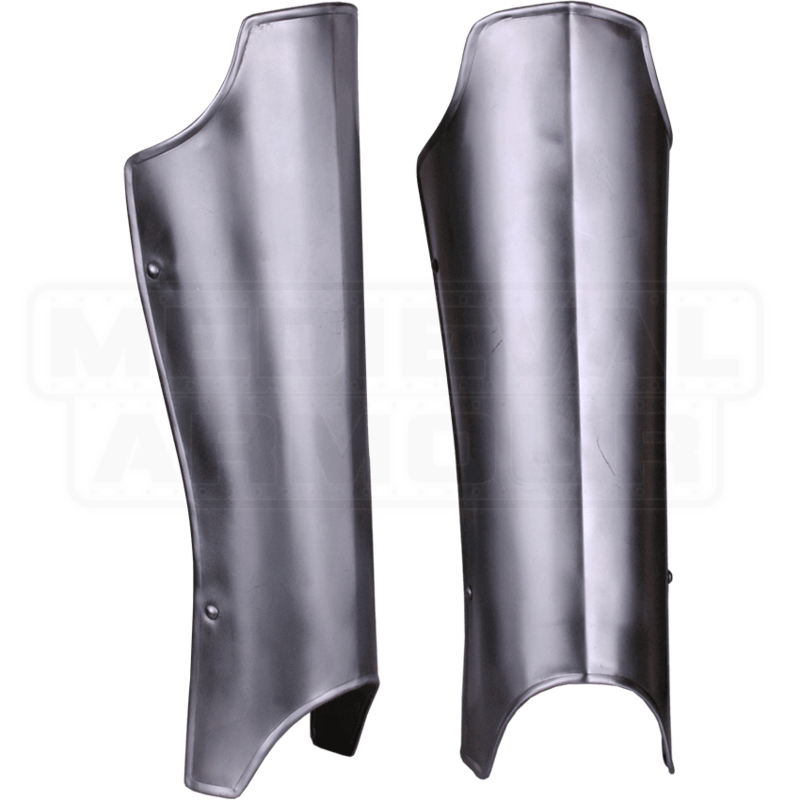 We recommend wearing padded arming wear beneath these metal greaves for increased comfort. They also have an adjustable fit, via leather straps and buckles on the back. Create a fantastic knight ensemble with the help of top-notch plate armour like these greaves. these greaves give a very real, bulky look and are some of the longest offered on this site. The finish of the metal is exactly as it looks in the picture. The price is unbeatable. And they look great with most types of armor, whether is be a chainmail and surcoat ensemble or full plate. The only issue I had was with the lower strap; my calf was was too big for the belt to wrap fully around. So if you've got muscular legs be prepared to rig something up.